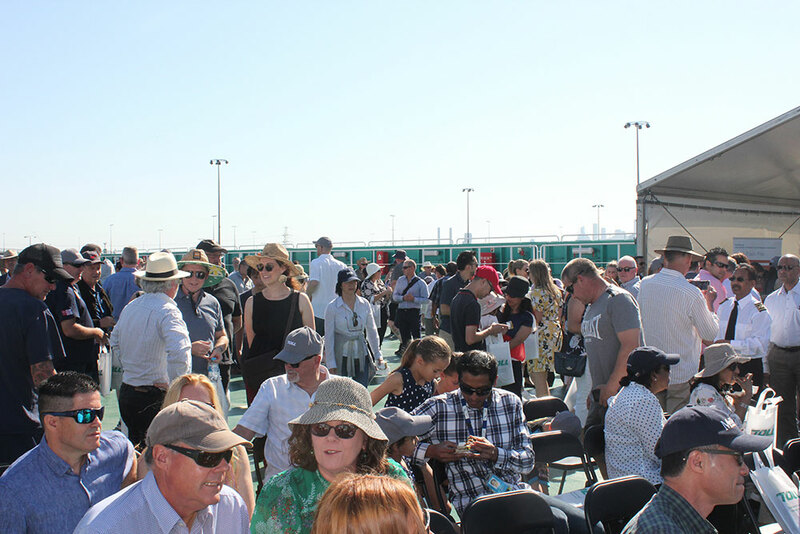 SWELTERING conditions failed to deter a large crowd descending upon Webb Dock in Melbourne for the official naming ceremony of new Toll ship, Victorian Reliance II. 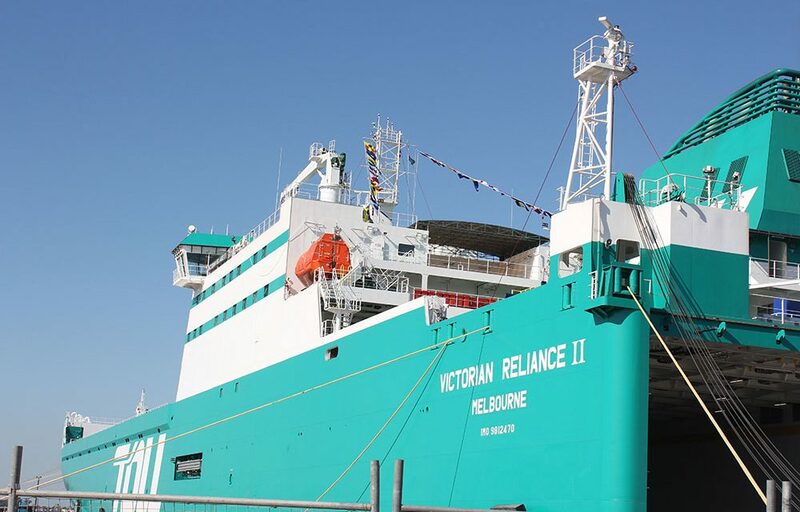 Held on Sunday, the event occurred a week after a similar naming ceremony for sister ship Tasmanian Achiever II in the town of Burnie. Whereas Prime Minister Scott Morrison attended the Burnie event, this one had a Labor feel to it with Opposition leader Bill Shorten and MUA national secretary Paddy Crumlin among the key speakers. Labor infrastructure spokesman Anthony Albanese was also in attendance. 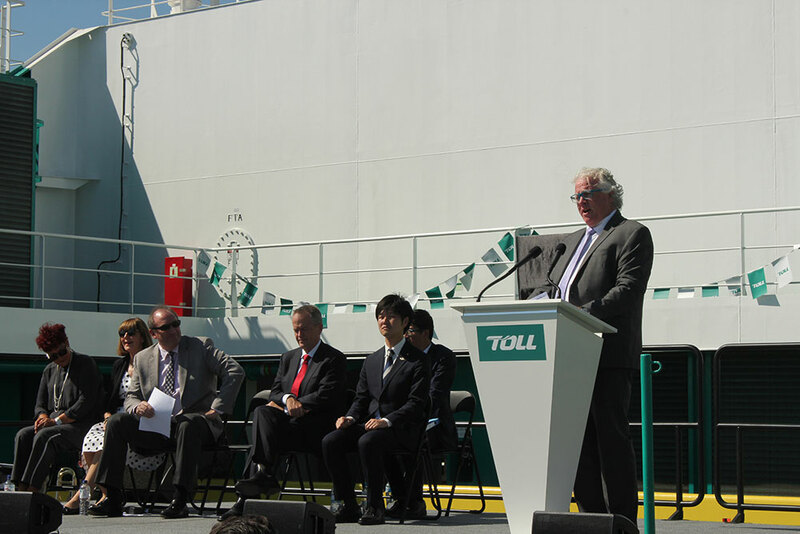 Other speakers included Japanese parliamentary vice minister for Foreign Affairs Norikazu Suzuki (in recognition of Toll Group’s majority owner Japan Post) as well as Toll Group executive chairman John Mullen. 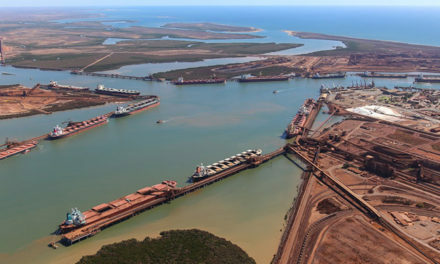 Mr Suzuki reflected upon trade ties and good relations between Australia both in the past and looking to the future. 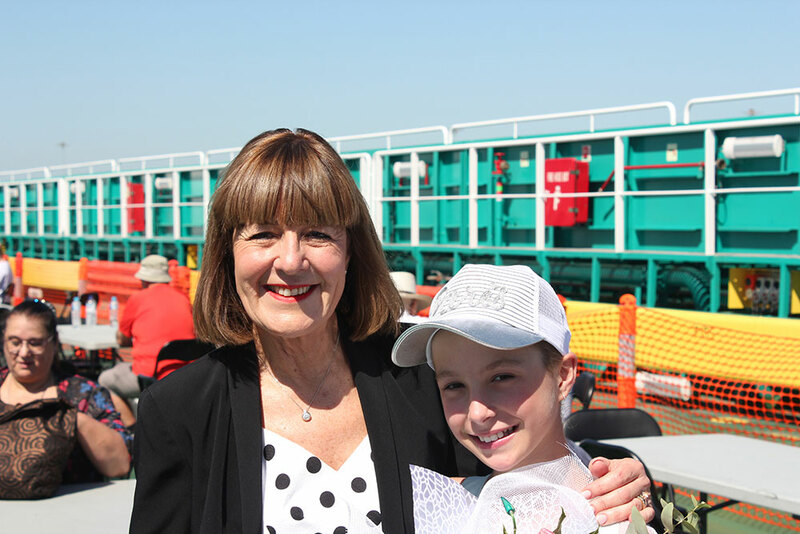 The ritual of cutting a rope to smash a bottle of champagne against the ship was performed by Jacqui Mullen, ably assisted by junior sponsor 11-year-old Lexi Rietveld from cancer charity, Challenge. A special Japanese axe was used for the occasion. Darebin City Brass Band provided a musical accompaniment to proceedings. 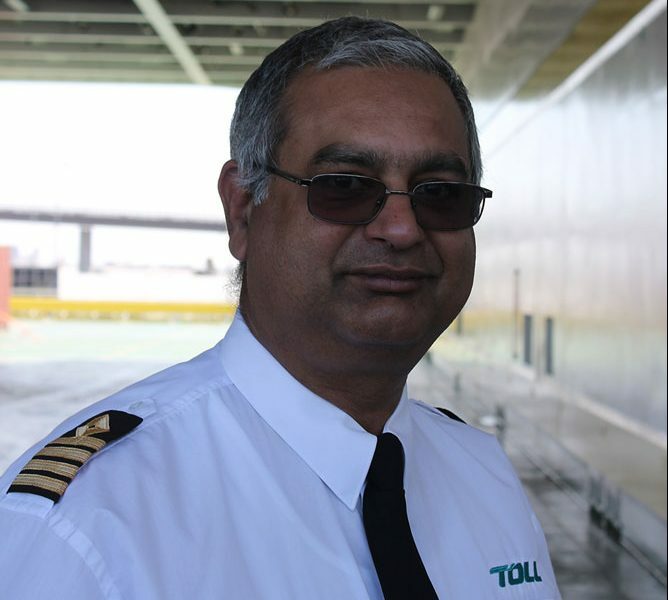 Ship’s master, Captain Christopher D’Sousa. Jacqui Mullen and Lexi Rietveld. 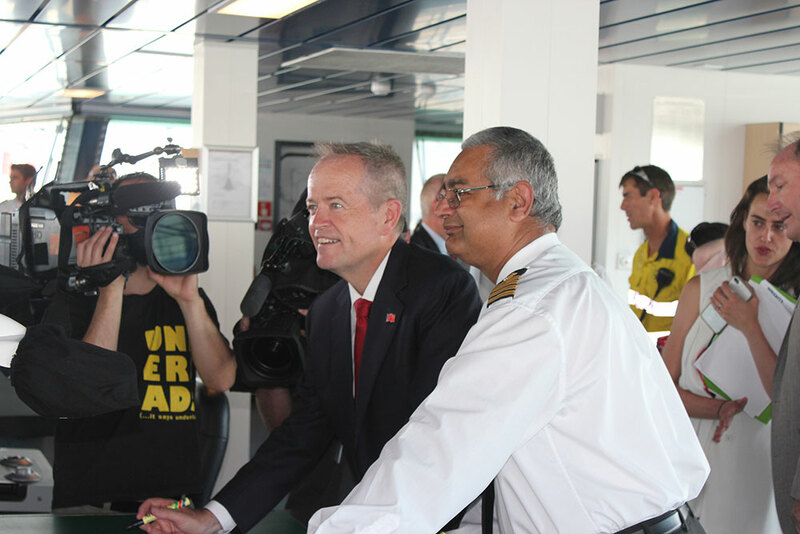 Captain D’Sousa talks to Bill Shorten. 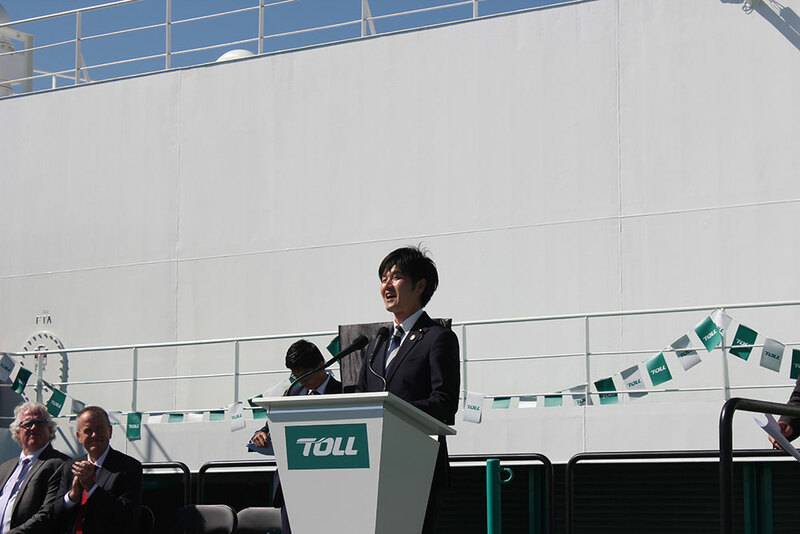 Norikazu Suzuki, Parliamentary Vice Minister for Foreign Affairs. Paddy Crumlin addresses the gathering.